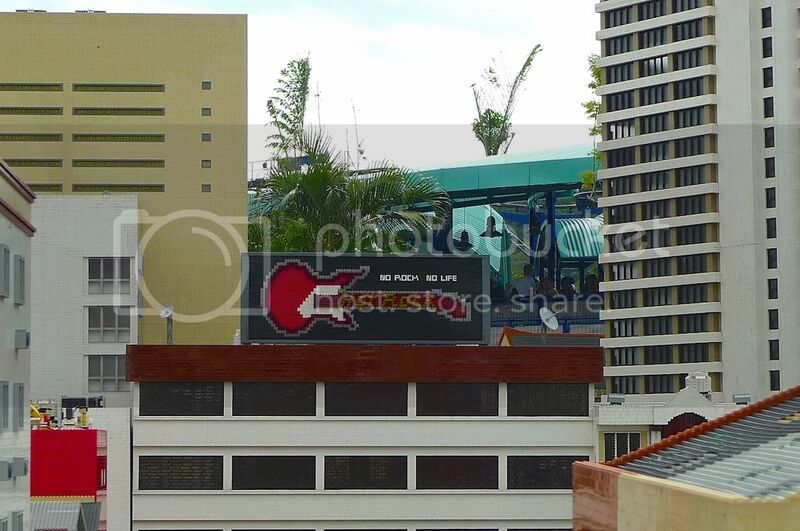 WARNING : There are tons of photos in this post - some may take longer to load due to the size which I could not significantly reduce as it would affect the quality. So please be patient! Thank you. 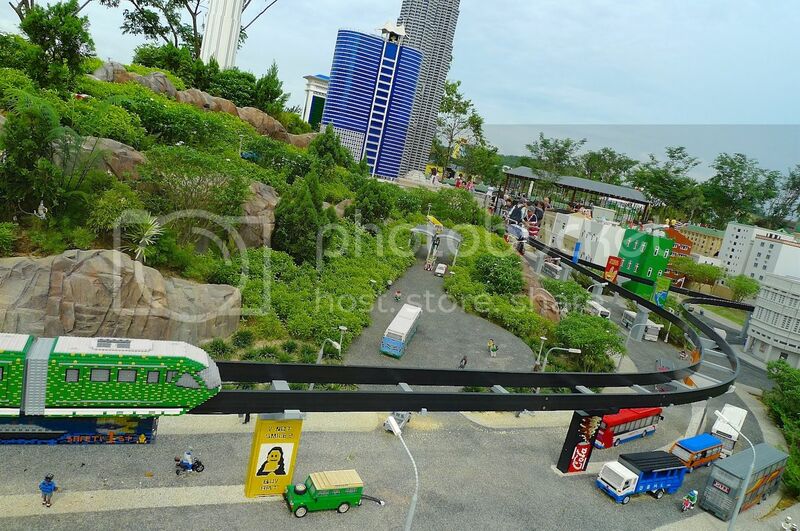 As mentioned in my earlier posts, Legoland Malaysia has 7 themed areas of attraction. 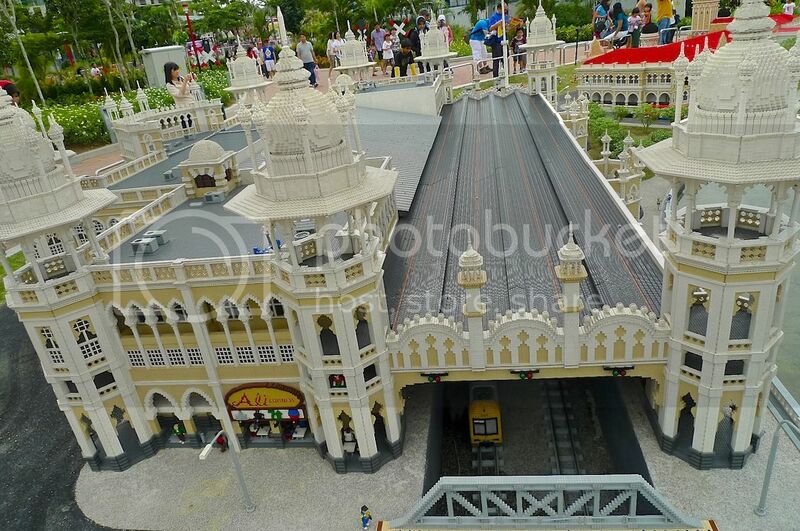 I had already covered 6 of them - The Beginning, Lego City and Land Of Adventure in Part 1; and Imagination, Lego Kingdoms and Lego Technic in Part 2. 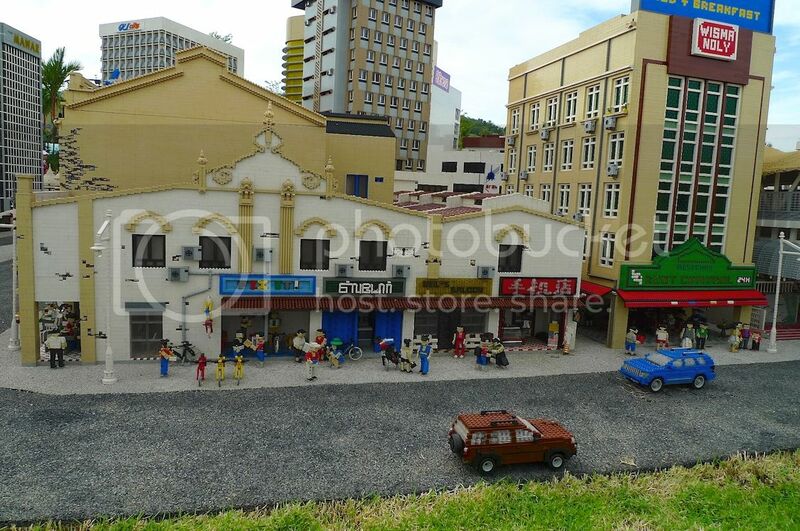 The only remaining attraction, and my top favorite by far, is Miniland. 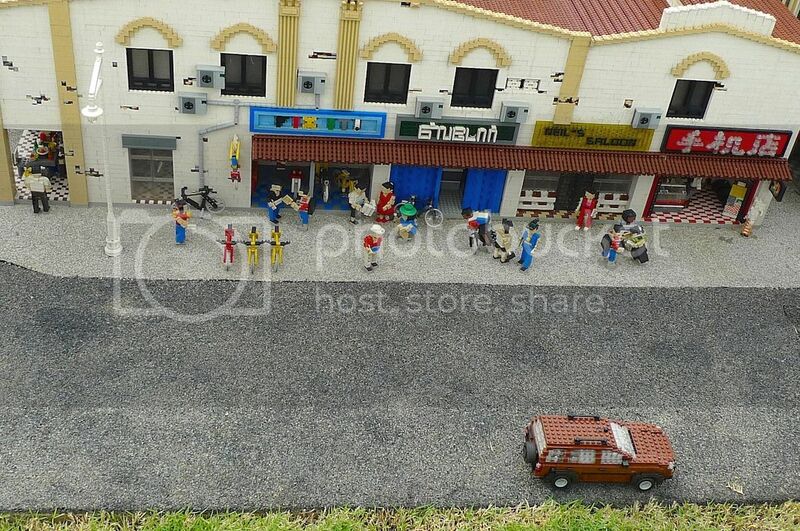 My friend Jim and I actually visited Miniland first, but I had decided to blog about this attraction last because there were simply too many photos! 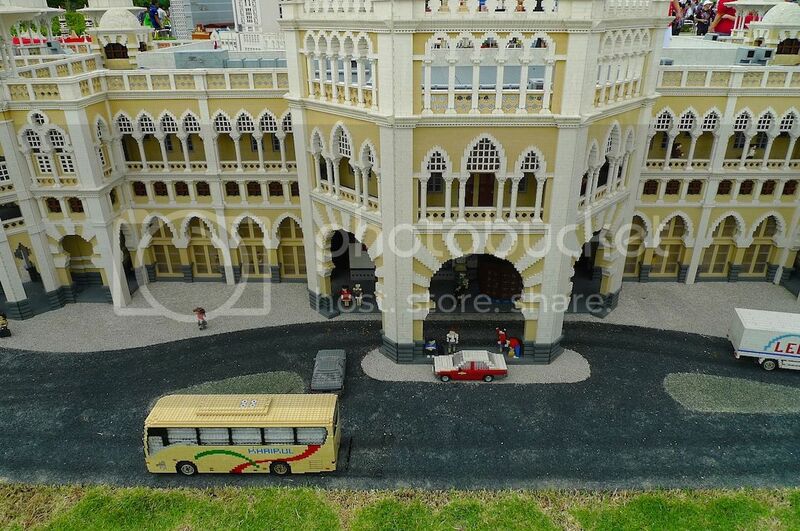 So what is the big deal with Miniland? 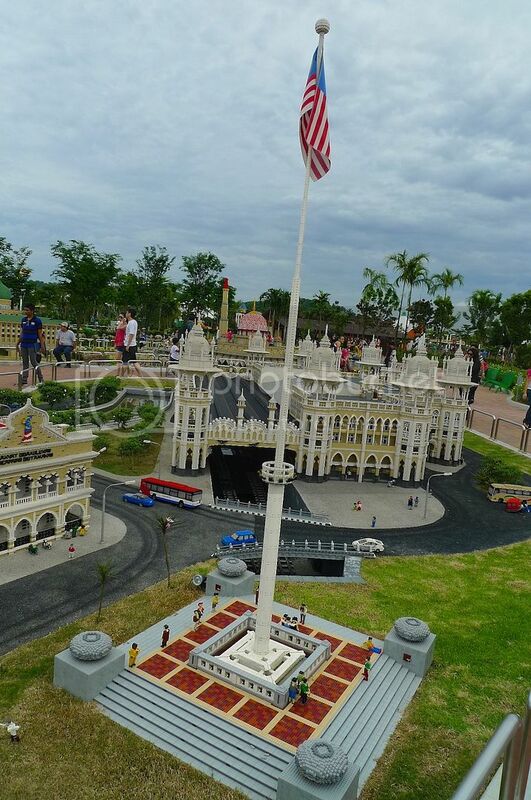 As the centrepiece of the entire Legoland Park, Miniland showcases some of Asia's best known landmarks in detailed miniatures! 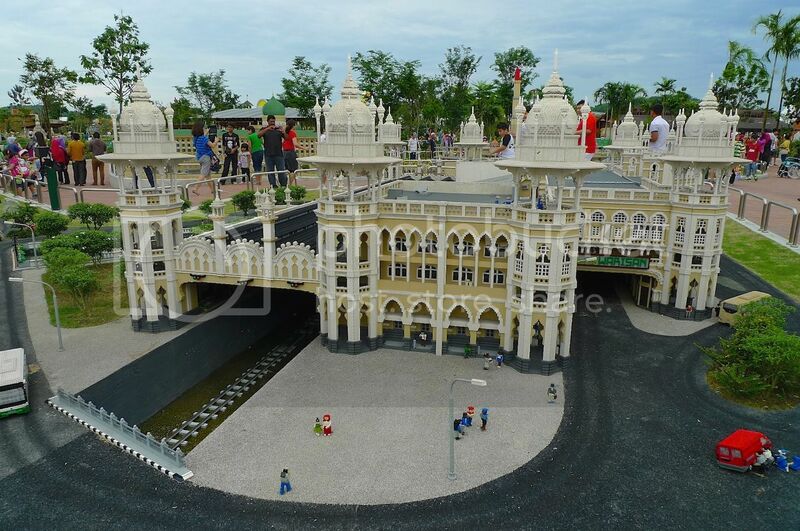 Did you know that it took them 3 years and more than 30 million Lego bricks to recreate famous landmarks from a total of 12 Asian countries? 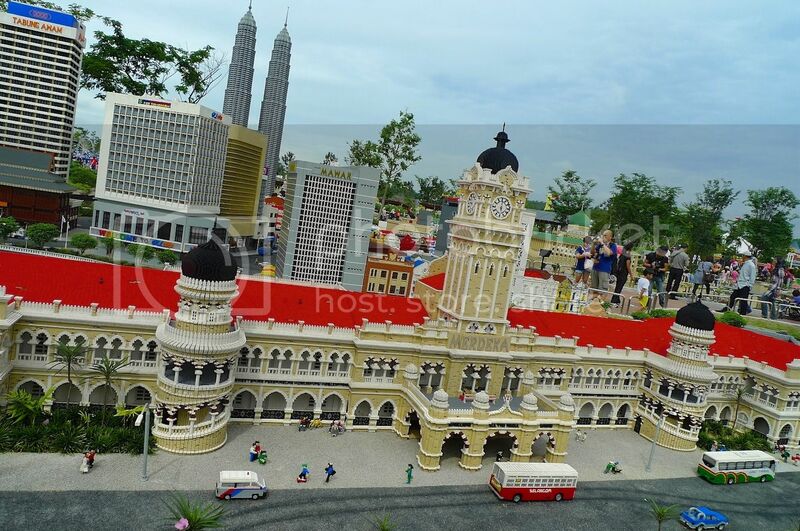 Let us begin with my country Malaysia, and more specifically, its capital city Kuala Lumpur. 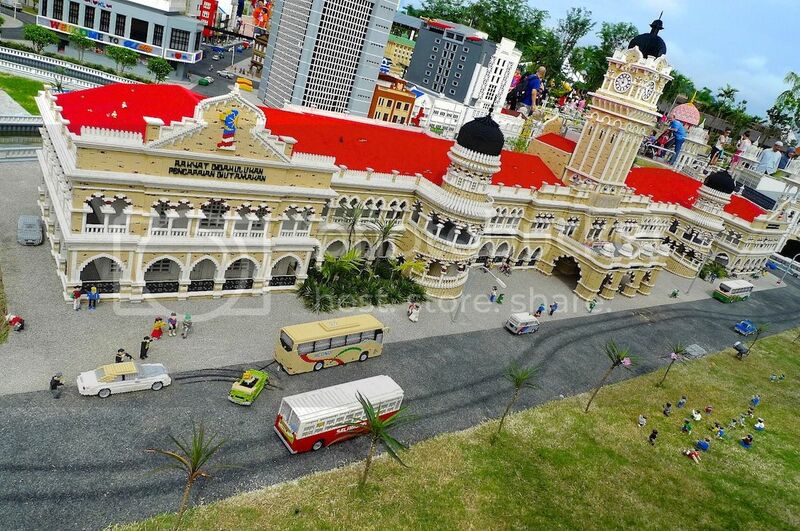 The above is a miniature model of the famous Sultan Abdul Samad Building, one of oldest buildings in Kuala Lumpur, and probably the most photographed in Malaysia. 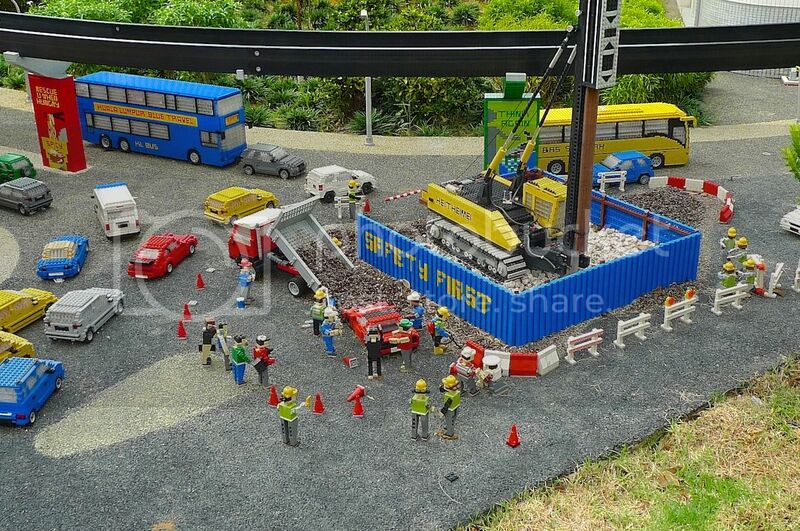 Did you know that some of the vehicles on the road can actually move? See those darkened tracks on the road? That bus was moving following those tracks! 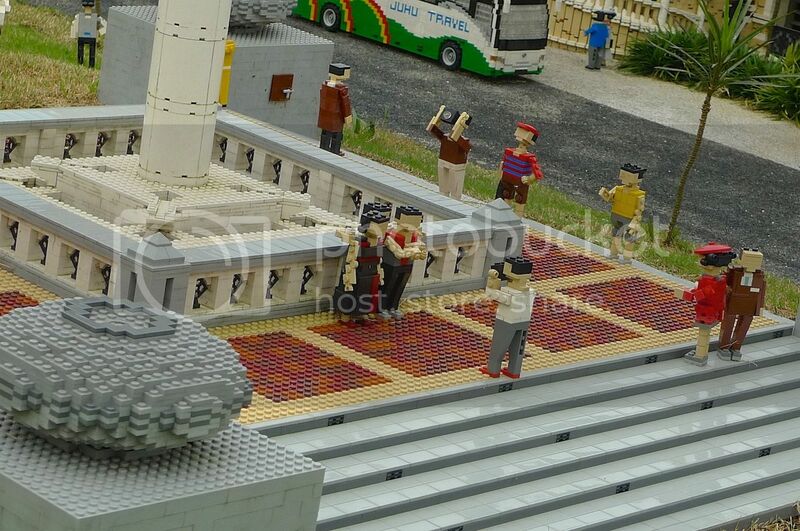 Built entirely with Lego bricks, this miniature landmark is about 7 meters long. 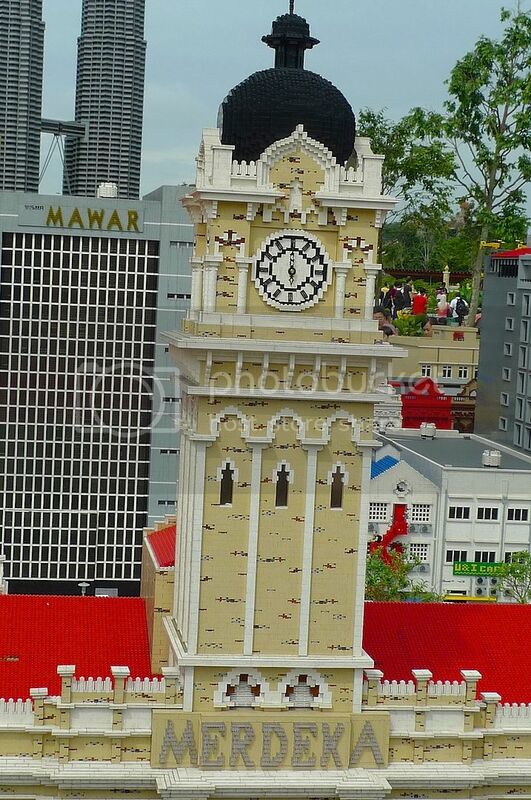 The famous clock tower recreated in detail. 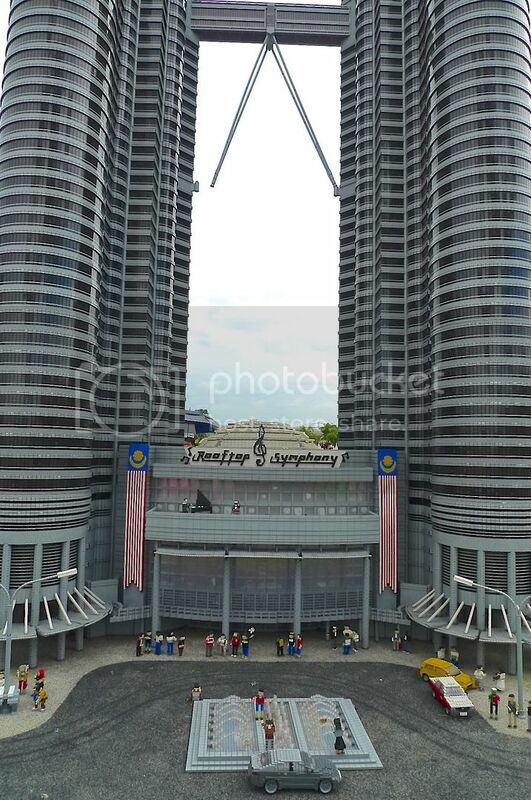 In front of the building is Dataran Merdeka or Merdeka Square where the Malayan flag was hoisted for the first time in 1957. 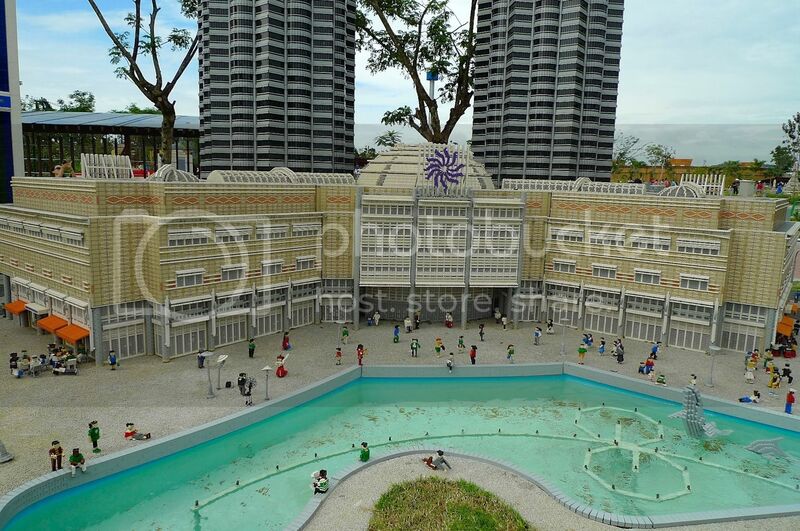 A closer shot of Merdeka Square. 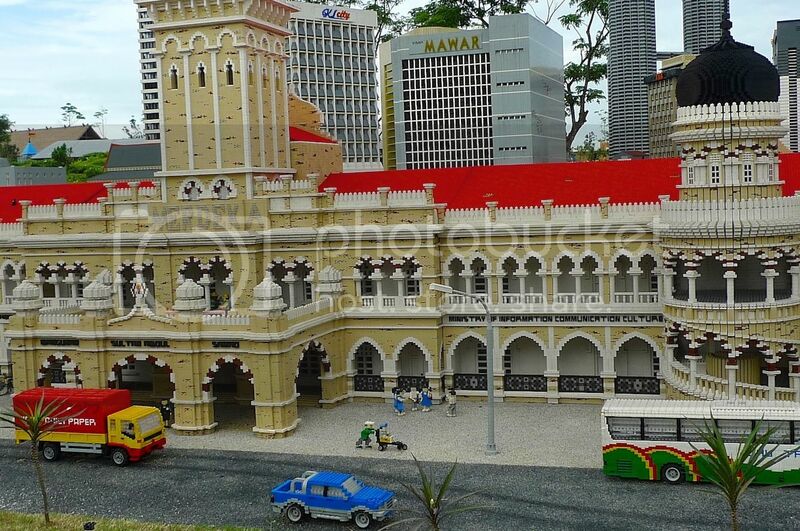 Near the Sultan Abdul Samad Building is the famous Old Railway Station. While taking pictures of this Railway Station, I heard some sound coming from somewhere. 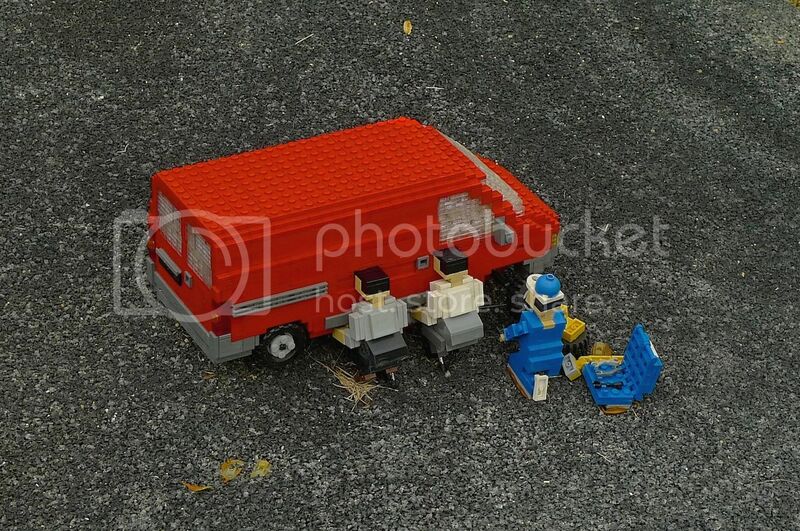 I traced the sound to these Lego men repairing their van at the road in front of the Old Railway Station. 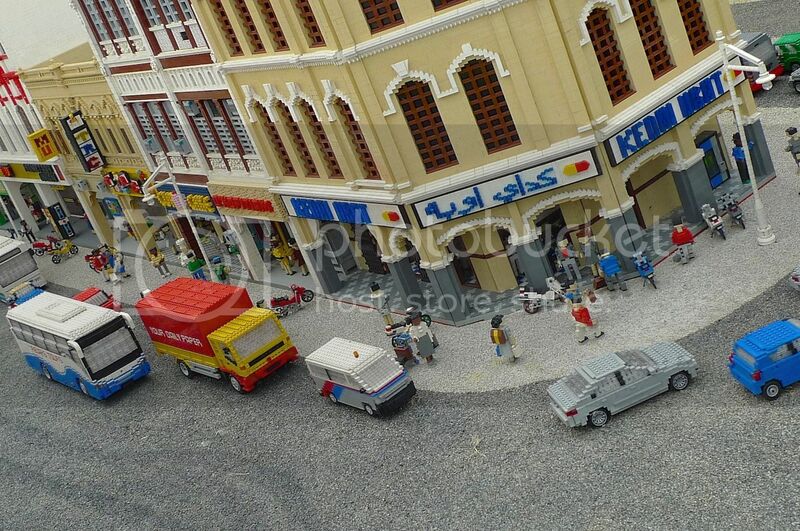 Looks like besides the moving vehicles, Legoland had made it all quite interesting with sound effects too! 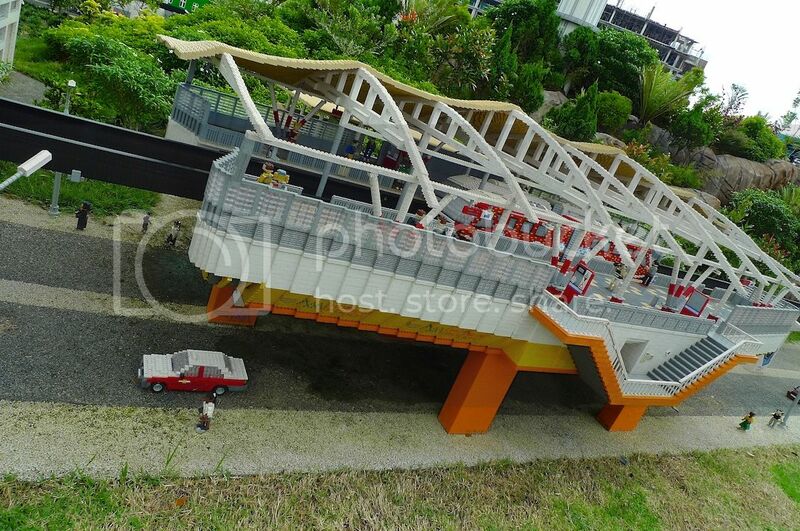 If you just glance at the picture below, would you have mistaken it for the real thing? 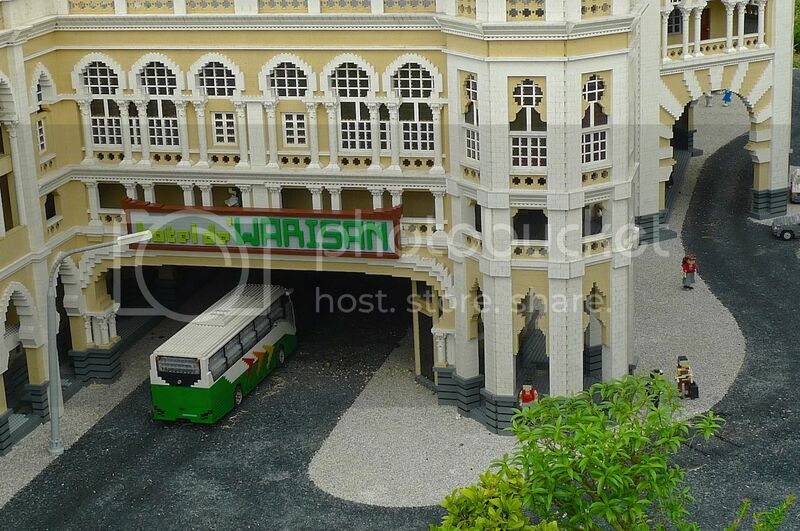 The architecture of the Old Railway Station is pretty unique as it is a mixture of both Eastern and Western designs. 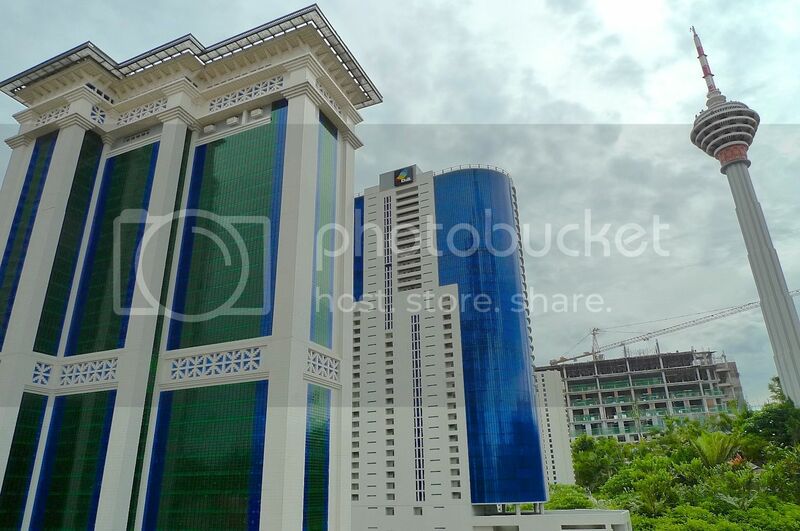 Moving on to other parts of Kuala Lumpur showing the contrasts between old and new buildings. 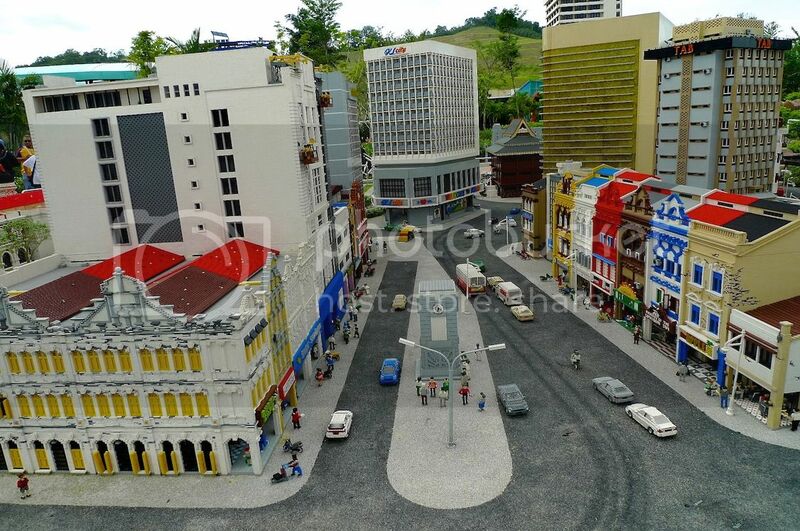 I think this is Jalan Hang Kasturi also known as Medan Pasar. 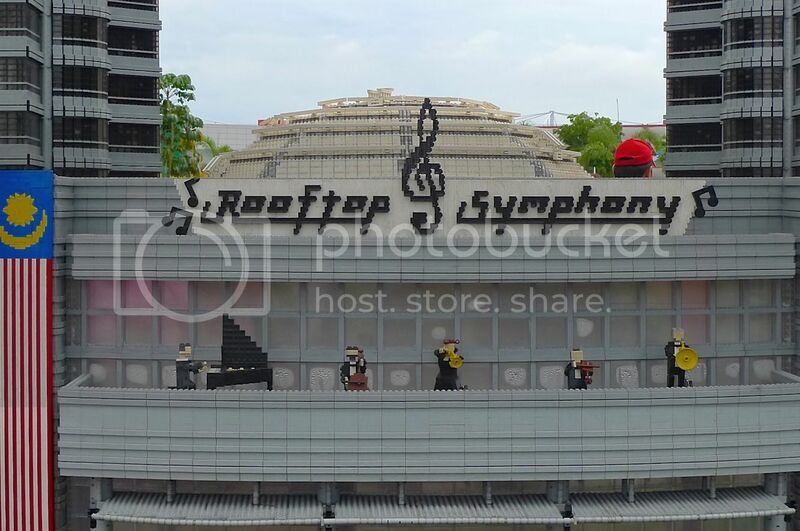 Can you see how they recreated those broken tiles on the wall? 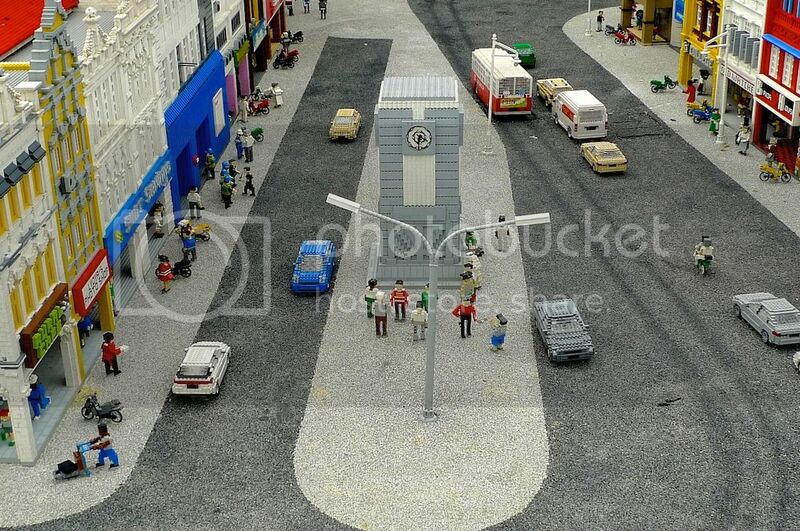 Can you spot the bicycles? 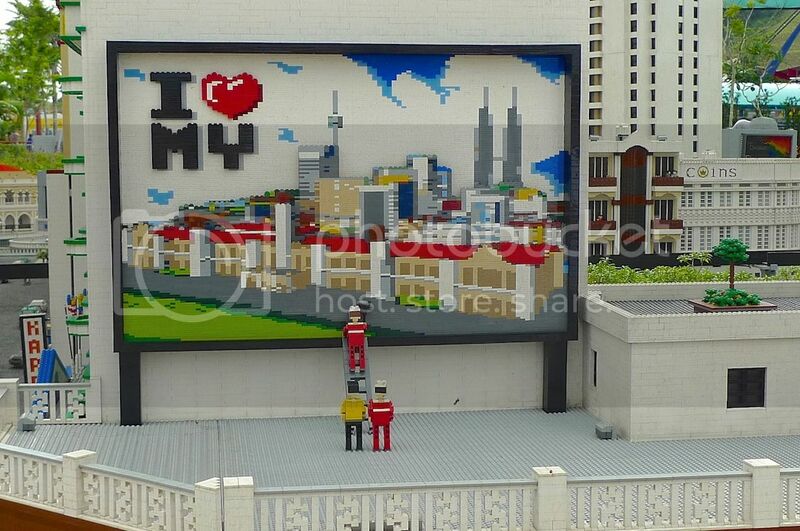 Do you recognize this part of Kuala Lumpur? 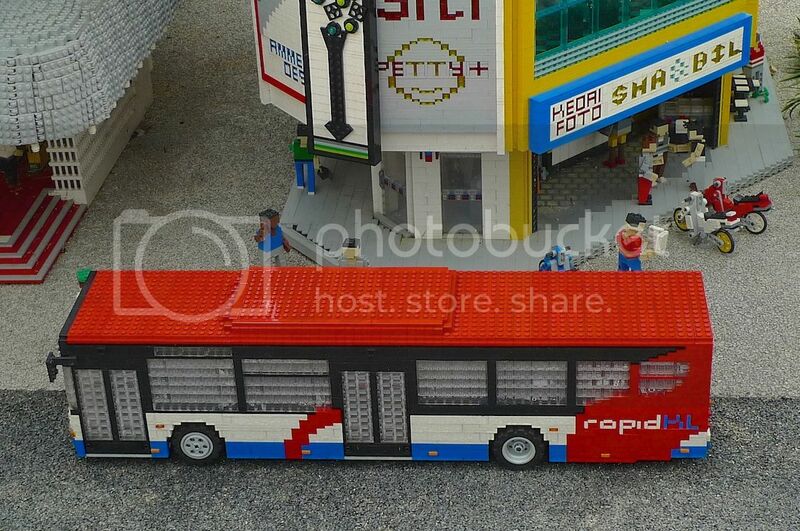 I love this Rapid KL bus! 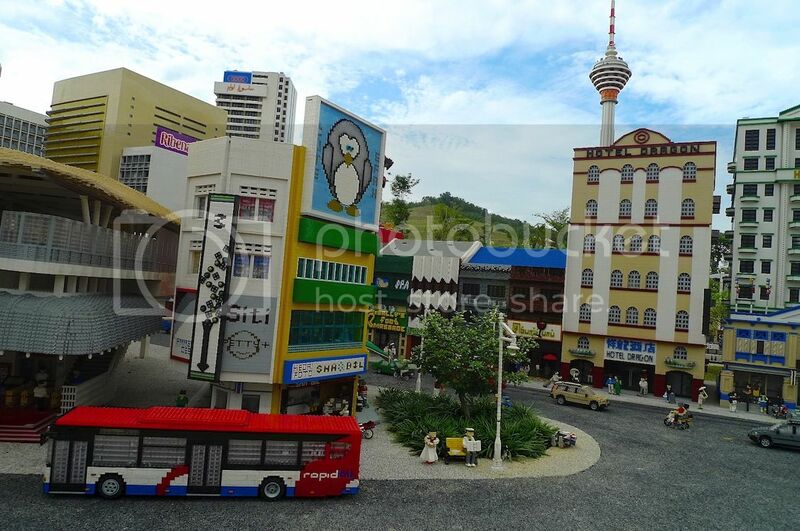 Have you seen Dragon Hotel and Star Hotel in Kuala Lumpur before? 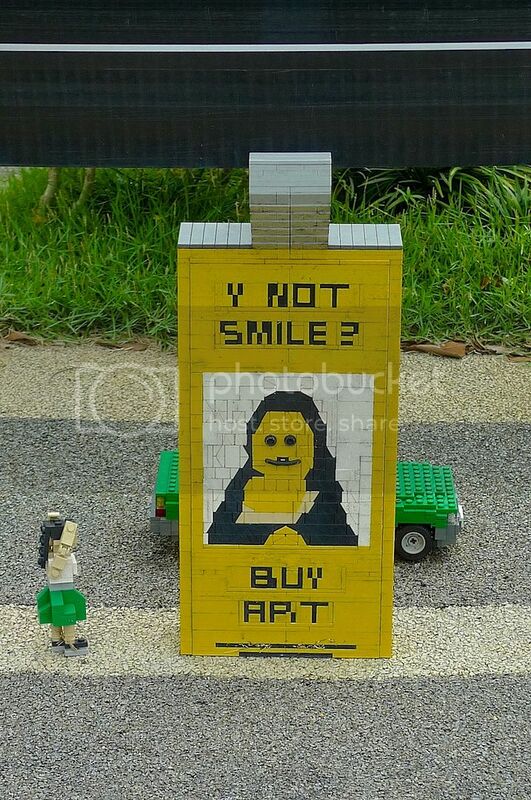 Words too small for you to read? 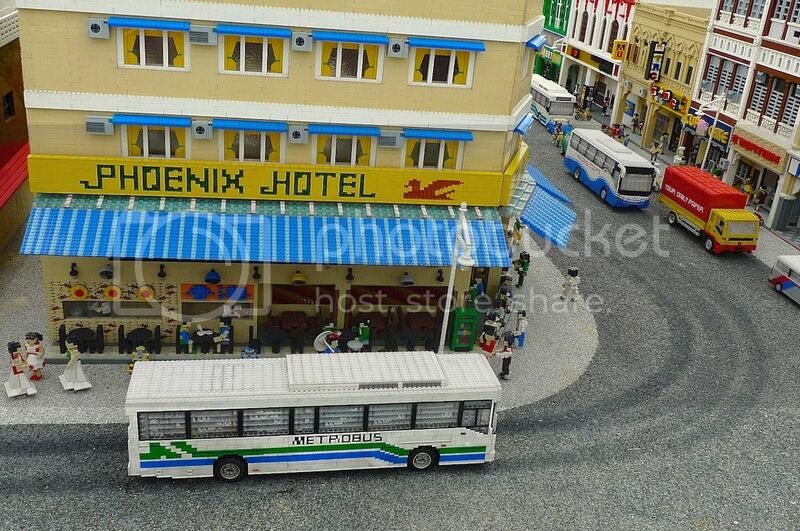 It says "No Rock, No Life"
A Metrobus passing by Phoenix Hotel. 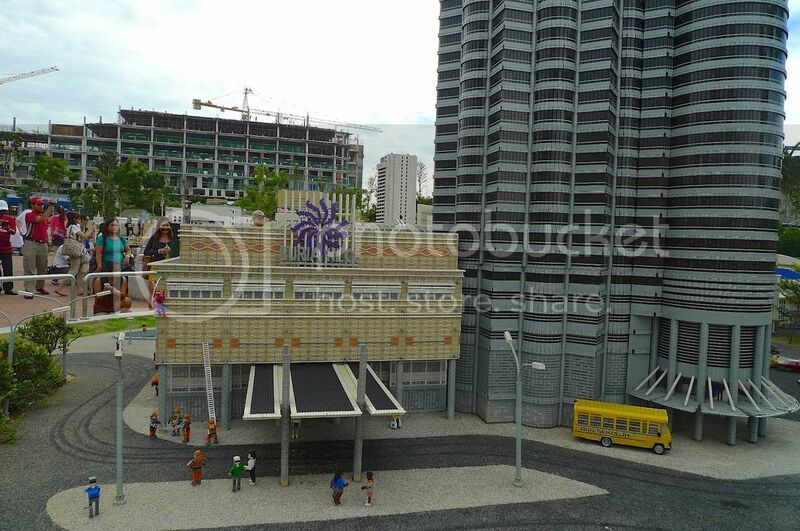 Yes, the bus was moving and swerving round the corner. 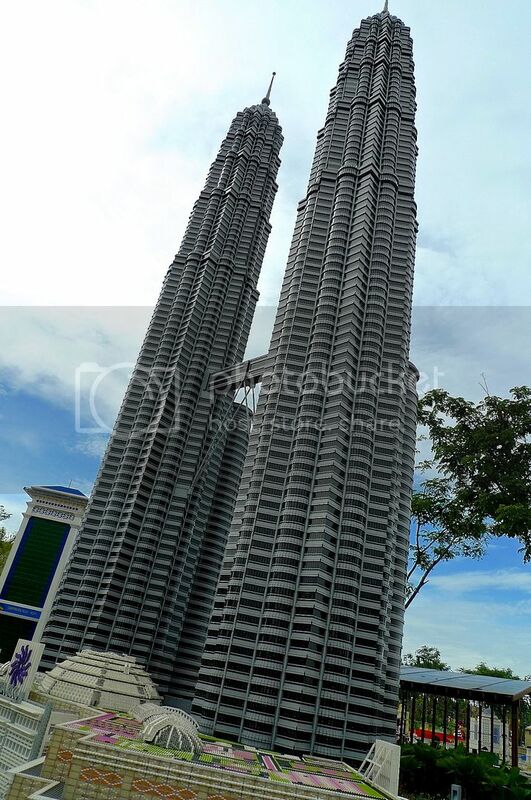 The famous Petronas Twin Towers. 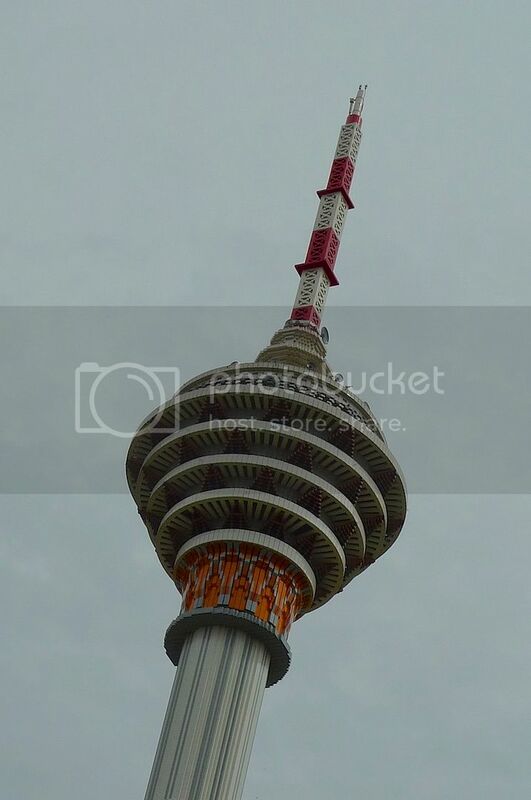 It was tall and towering above me. 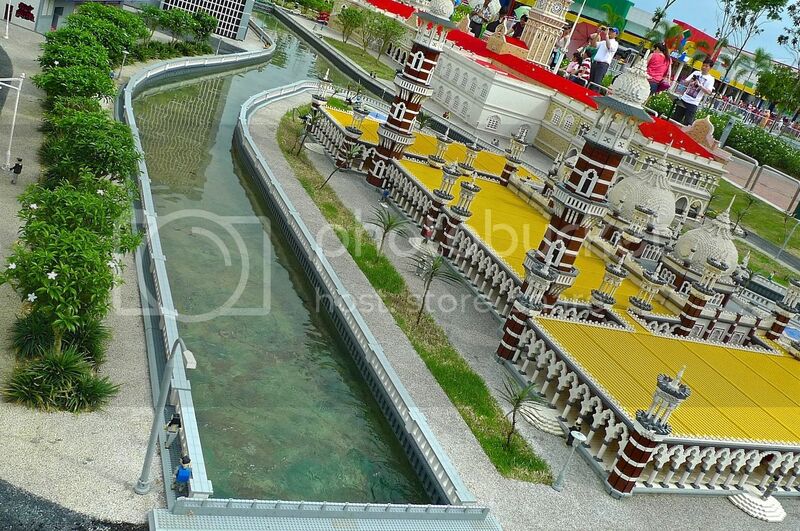 The lake in front of Suria KLCC mall. The fountain was active but of course, they could not recreate the dancing patterns like the real thing! 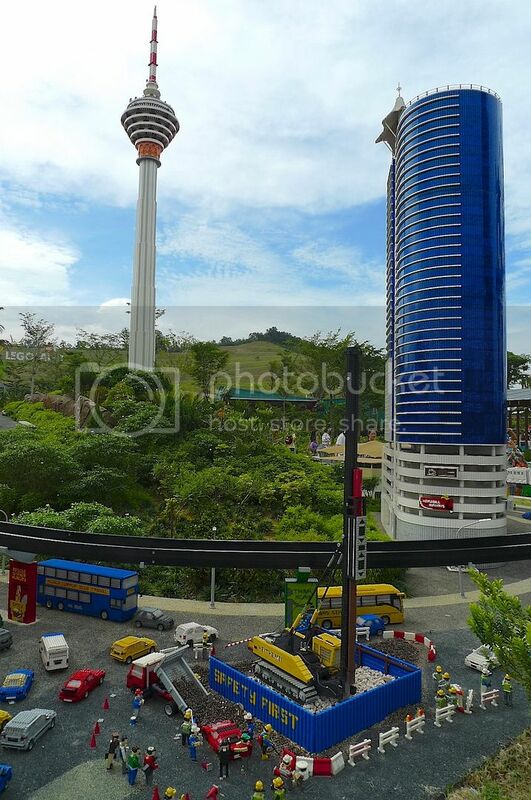 I like this shot of the Twin Towers with the KL Tower in the background. The humans look like giants in the picture below. 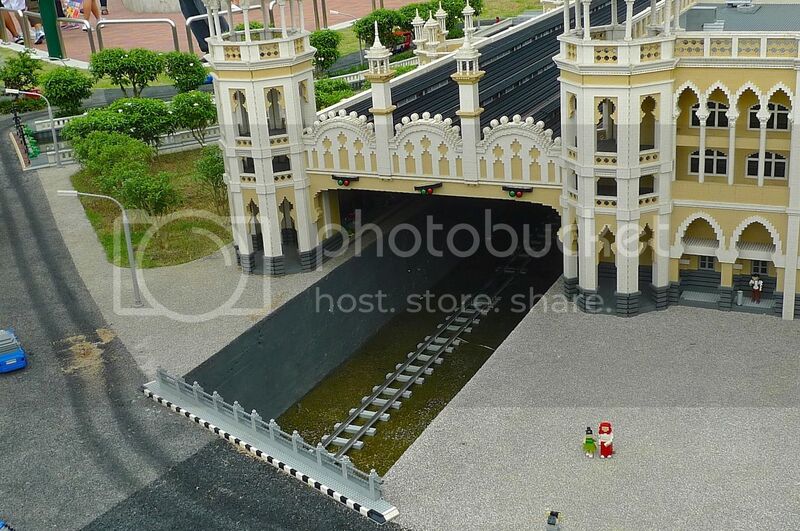 The bridge linking the two towers. 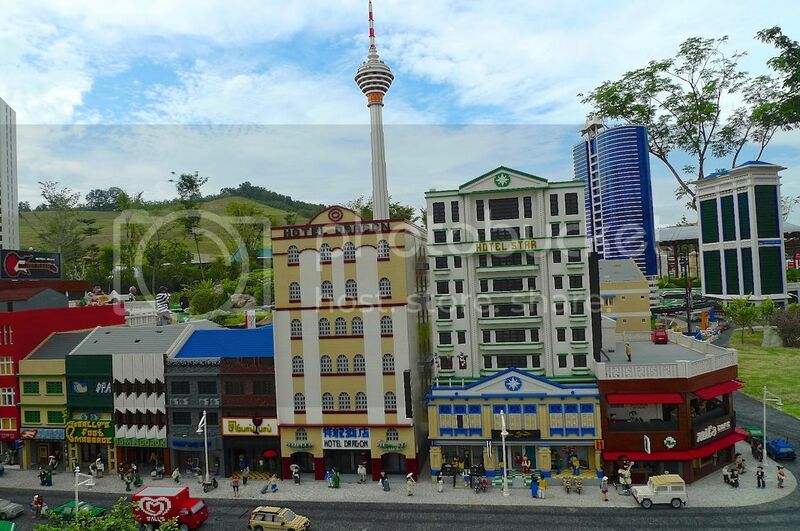 Do you recognize these buildings besides the KL Tower on the right? 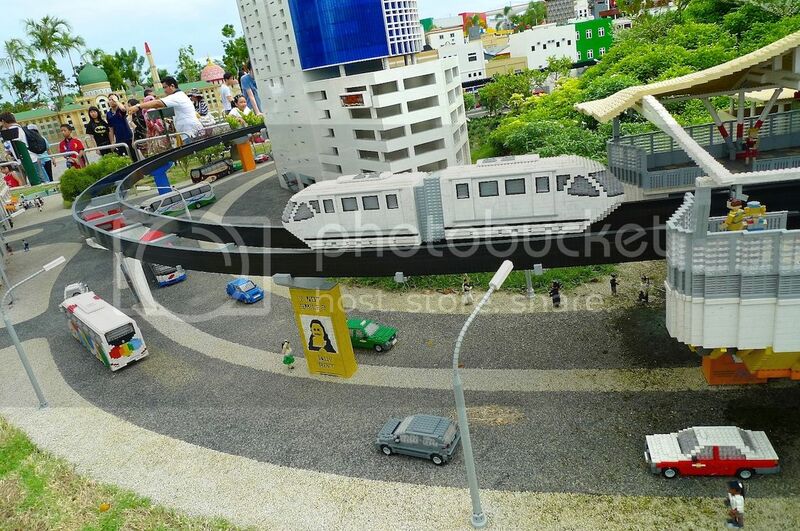 The Monorail train was moving and was leaving the station as I took this picture. 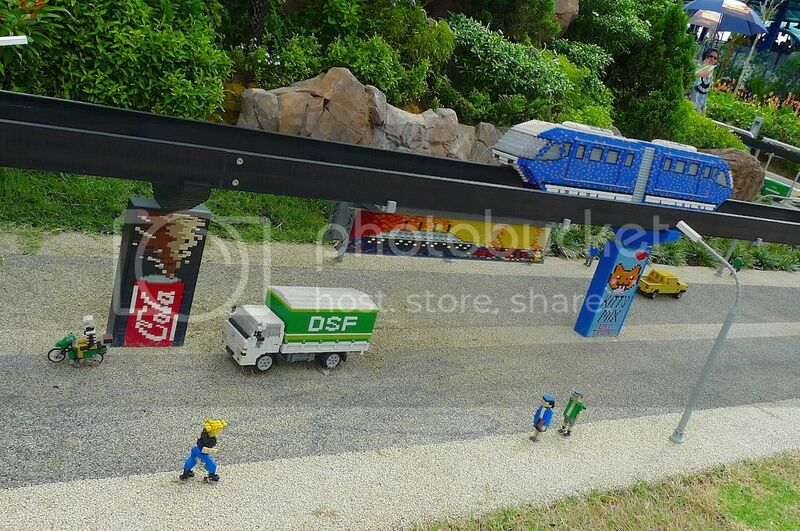 Spotted a blue color monorail train passing by. 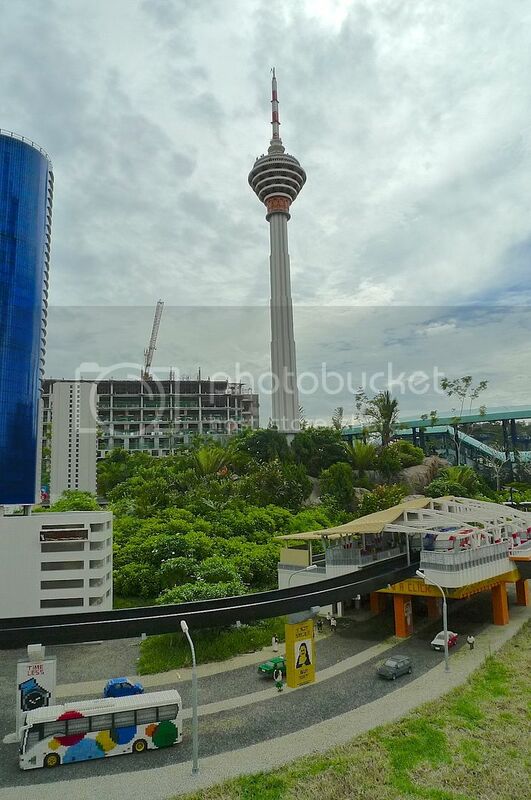 Another part of Kuala Lumpur. 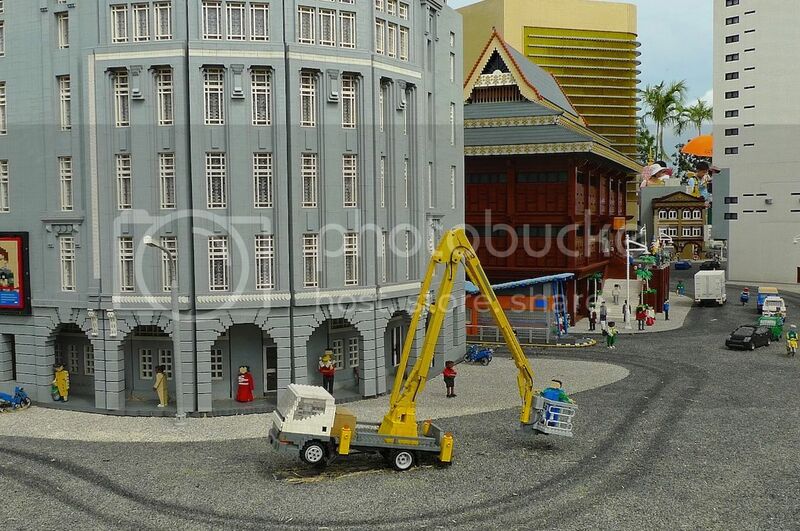 I could not remember whether the crane carrying the Lego man was actually moving! 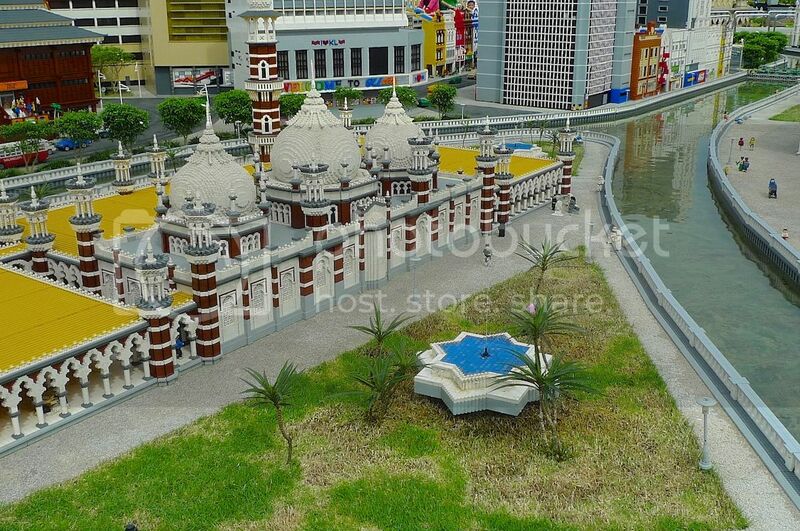 The famous Masjid Jamek mosque where the Klang River and the Gombak River meet. 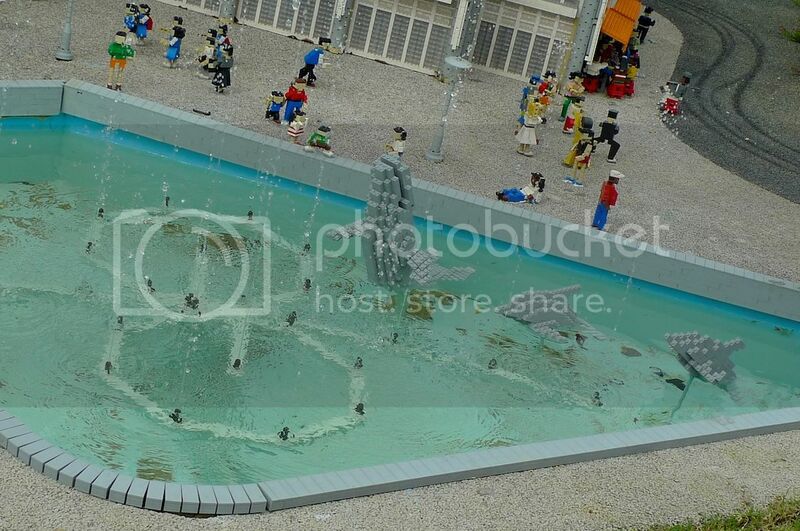 I think there's a button for you to press so that water will shoot out from that blue star-shaped fountain structure. Or maybe there's no button for this one (could not remember) although there are plenty of buttons elsewhere for you to press and play with! 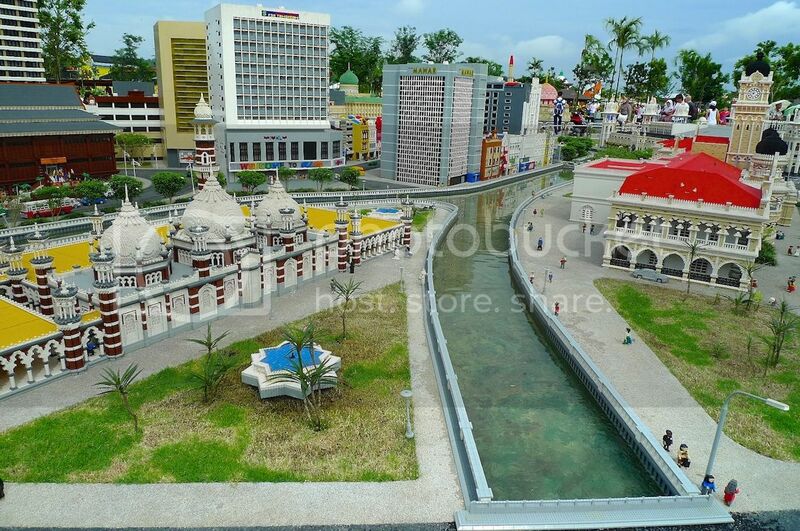 This area where the two rivers confluence was previously knows as Sungai Lumpur (muddy river). 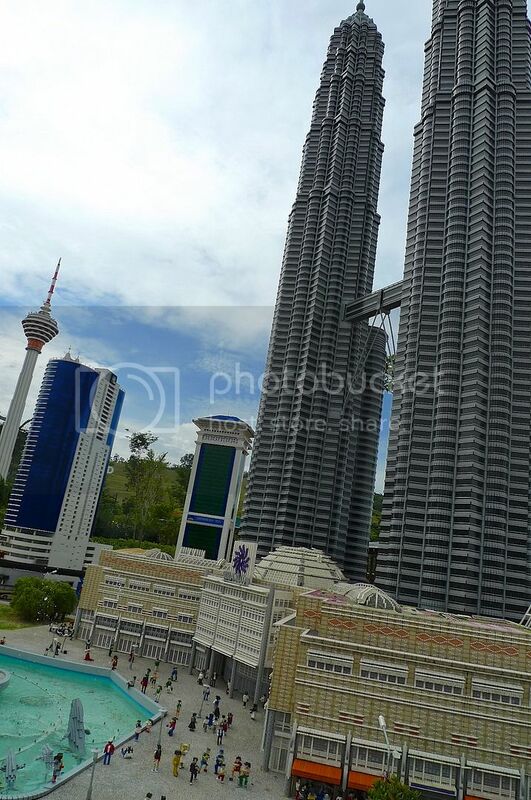 Perhaps this is where the city Kuala Lumpur got its name. 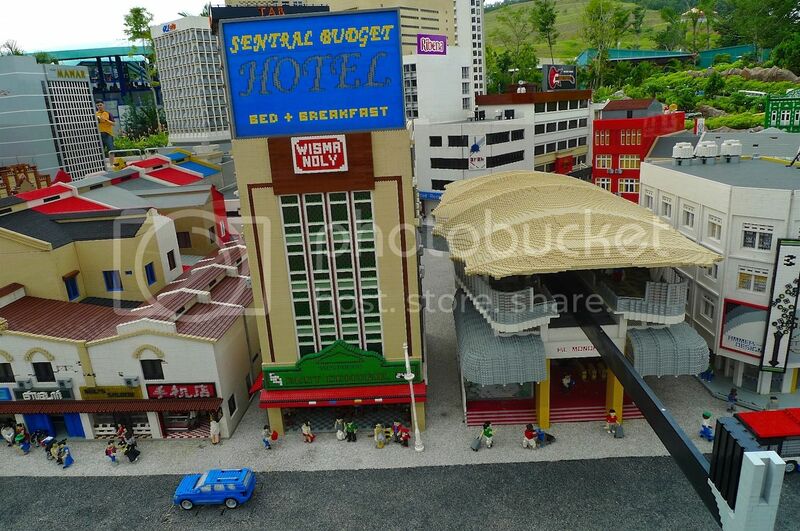 I hope you have enjoyed this short tour of Kuala Lumpur Miniland.